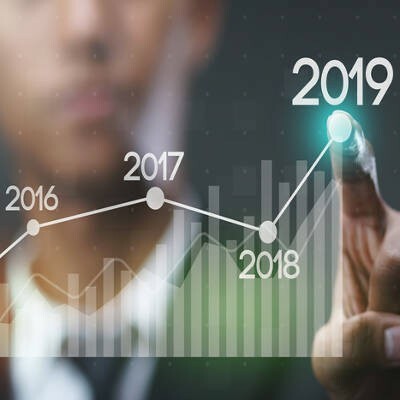 Business technology continues to grow in importance for the small and medium-sized business, especially as many prepare for 2019. Where enterprise-level companies have long been using technology to bring people together and drive overall productivity, many SMBs are new to these opportunities. The availability of cloud resources, coupled with shifts in security, mobility, and other core technologies, makes it important for every organization, no matter what size, to have a comprehensive technology strategy. Before we go into the actual strategic shifts, providing some background information can get you to understand just how important it is to have a plan in place. Say you want to enhance your business’ mobility. Accomplishing this touches several parts of the company’s IT infrastructure. First, mobile devices have to be able to connect to your in-house network, necessitating a wireless platform. Secondly, you need databases that are accessible from remote worksites, which means that you have to have some form of hosted solution. Lastly, you need a way to securely transmit data from one location to another, often made possible through the use of a virtual private network. This one project could cost your company a lot in both time and resources. If you consider just how much technology your company relies on - and which will need to be upgraded/purchased in efforts to improve your business - having a strategy that covers the procurement, deployment, management, and support of any technology you’ll utilize is a must. A business’ technology strategy outlines its goals, producing a roadmap of how to get there without stymieing growth or mortgaging the rest of the company’s health. The idea behind adding technology into your business’ toolbox is to boost revenue. Technology, however, isn’t one of those things that you can simply throw money at and expect results. Even if it was, taking that frame of mind would likely result in cost overruns and a woeful ROI. For profitibily’s sake, your business’ IT strategy has to cover certain variables. One is to estimate the amount of capital that it will take to improve your IT, analyzing both upfront and recurring costs. Another is to estimate what it will cost in terms of time and resources to acquire, manage, and support your infrastructure, applications, IT-related services, innovation, and technology deployment. If you aren’t specific in terms of the costs and resources needed to accomplish your goals, chances are your technology investments may look prohibitive to running a secure and effective business. You may be able to do some part of strategizing for what could be simple improvements, but if there are a lot of moving parts (like the scenario above), you will absolutely want to reach out to a professional IT technician before your implement any changes for the new year.. If you don’t have in-house IT experts, you can call in an IT services provider like Directive for assistance. Not only do we have contacts that can put you with some of today’s best technology and security vendors, we also know how these systems work--from the design phase all the way through to support--putting us in a great position to help you maximize the effectiveness of your IT capital. After completing an assessment and selecting what project(s) you want to undertake, one suggestion is to go ahead and draft vision and mission statements. A vision statement provides a portrait of what your business’ future looks like with the proposed changes. The mission statement, however, is a more pragmatic statement (or series of statements) that outline what exactly needs to be done and how it will be accomplished. In essence, it is a business plan for your business’ technology (in this case, for the span of 2019). Since it can be easy to look at IT improvements as vanity projects rather than ones that return enhanced profitability, you will often have to take a step back and look at the cost and potential benefits of each proposed shift to ensure that a particular project is right for your business. After getting a professional’s opinion, and doing the financials, you are now ready to improve your business’ informations systems. By now it has been ascertained what the problem is, how much capital is available (both up front and over time), and who is running point on the project.. Your IT strategy has come into view and now all that is left to implement it for 2019, right? In a perfect world, yes… but this is not one of those. In the real world, IT projects can have a mind of their own and you should plan for that. Businesses can’t be cavalier with their budget simply because there is a cool new piece of technology on the market. A business owner who is not flexible with their expectations of an IT project will often have some sideways questions about it. Not everyone takes to certain software, not all legacy systems integrate with new server technology, but when the pieces fit together properly, your business will thrive. At Directive, we help businesses just like yours make the right decisions about their business technology. If you want to build a better business through the deployment of today’s most innovative IT call us today at 607.433.2200.